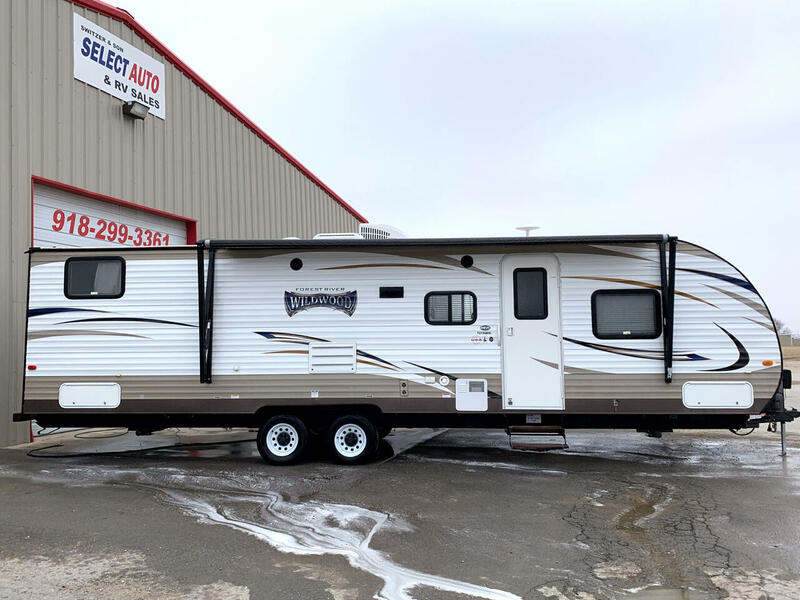 Here is a 2016 Forest River Wildwood 273QBX. This unit has a Super Slide-out. Everything is in working order on this unit. The dry weight of this unit is 5,937lbs. The arrangement is set up with bunks in the rear. In the front, there is a Queen sized walk around bed. The center of the unit has a super slide out. With the sofa and dinette on it. Across from the super slide is the Kitchen. This unit does have a nice private bathroom also. Here is a list of some of the options on this unit. Ducted Heat, Ducted Air Conditioning, Large Power Awning, Power Front Jack, Power Rear Jacks, Power Tongue Jack, 3-Burner Stove with Oven, Large Double Door Refrigerator, 6 Gallon Water Heater, Microwave and so much more.